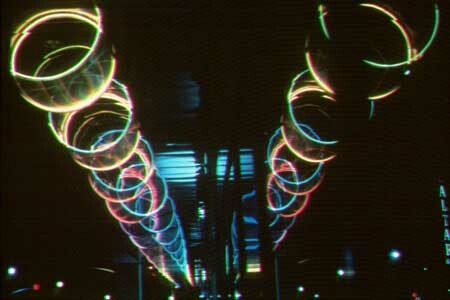 Infrared sensor interfaced, computer addressed "neon" within Polycarbonate semi-cylinders affixed to 3,000 sq. ft. of stainless steel. This sculpture responds to pedestrian and vehicular traffic in its vicinity.